Greetings, readers! Today’s Friday the 13th, the perfect day to launch the kickstarter for my new RPG setting for Savage Worlds called Accursed. 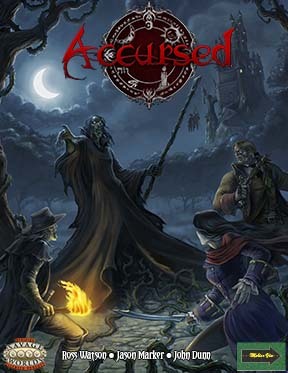 Accursed is a dark fantasy setting where players take on the roles of classic monsters fighting back against the evil that threatens their world. I could talk about the setting all day, but if you want to know more, I’m going to point you towards the official Accursed Blog. Instead, I want to talk about kickstarters today. When John Dunn, Jason Marker, and myself decided to do a kickstarter for Accursed, we knew we didn’t want to screw around. We wanted to do this right. Here’s the awesome cover for Accursed by Alberto Bontempi! We looked at a bunch of kickstarters that have failed, and even worse, kickstarters that succeeded and then never produced a product (such as Dwimmermount). This fate was not going to happen to us. We analyzed over 30 different RPG kickstarters, trying to figure out where they went right (such as Fate Core) and where they went wrong. Then, we took those observations and applied them to our own launch. Talking about the things we learned would be a very very long conversation, but I do plan to get more into that once the Accursed kickstarter is over and I have some real-world experience to back up my research! One piece of feedback that we received that I thought was very insightful was that “you shouldn’t let your caution overshadow your love and passion for the project.” It is true that we were very, very focused on doing this kickstarter responsibly, but it is equally important to communicate how excited you are about the project as well. Speaking of being excited about the project, I’d like to ask all my readers to please take a moment and spread the word about the Accursed Kickstarter—and most importantly of all—why you think it is special. Your help and support means the world to me, and I deeply appreciate it. Greetings, readers! Last week was Gen Con in Indianapolis, and I was very happy to be there for all five days. Yeah, Gen Con is basically the best FIVE days in gaming in 2013, especially with the fine folks at the Kentucky Fried Gamers guild running all kinds of games on Wednesday at the back room of the Ram. As mentioned previously, the KFG runs games at the Ram the day before the convention actually starts. These guys are great! I was privileged to run a game of Star Wars: Edge of the Empire (thanks to Teras at Geek Nation Tours!) with the KFG crew this year, and it was fantastic! Shout out to all my players—you guys made the game super fun. The Westin has the best bathrooms at the convention—always clean, never crowded. The Westin also has a well-hidden anime artist’s alley upstairs, if that’s your thing, and plenty of great events hosted in the very nice conference rooms. If I run a seminar, I always secretly hope it’s in the Westin. The dealer’s room, slayer of schedules! The Marriot (NOT the JW Marriot, the Marriot right across the street from the convention center) still is one of the best places to meet for breakfast. The buffet is a bit pricey (about 16$), but excellent in quality, and the room is quiet enough—unlike many other spots for breakfast in the area—to have a breakfast meeting or chat with friends. The Embassy Suites are, IMHO, the height of luxury for Gen Con. The rooms are amazing, especially to bring people over to talk! There’s a free breakfast and bar as well, so I hear. Unlike last year, Gen Con 2013 was a good year for meetings. Nearly every time I went to meet with someone in the gaming industry, things were completely professional and frank. I was very impressed with the people I spoke to this year from the gaming industry, and it really helped wash away the bad impressions I got in 2012. This year, I was part of three seminars on Professionalism in the Gaming Industry, How to RPG Freelance!, and Working with a Licensed Property. We had a pretty good turnout, especially considering some of the timeslots (Friday morning, for example! ), and it was a pleasure to talk to so many excited gamers. I’m looking forward to doing more next year, or possibly turning some of these into workshops. 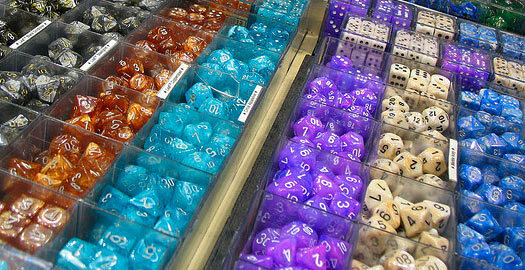 You can never have enough dice. Thanks to my fellow scribes John Dunn and Jason Marker, we had some awesome Accursed t-shirts to wear around the show, plus tons of business cards and even a 16-page preview of the book (a work-in-progress). These things were all extremely well-received, and we left the convention with a huge confidence boost going into our Kickstarter launch later in September of this year. It was absolutely awesome to see FFG running demos of their RPGs this year. I sincerely wish that I had more time to get in some more games during the show, but I was so busy running around to meetings, checking out the dealer’s hall, and attending seminars that I missed out! Next year, I plan to make time for doing more games at the show, for certain. 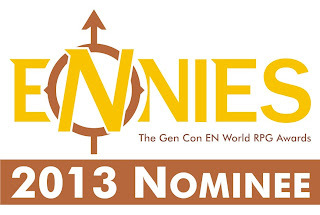 That’s all for this week, folks, but be on the lookout for at least one more Gen Con-related post very soon as I dive into something that’s very important to me—a hard look at this year’s ENnie award nominations. Greetings, readers! It’s been a busy time here at the Rogue Warden fortress-monastery, and it’s a good time for a quick update as Gen Con 2013 approaches this week. One of my favorite things about Gen Con is getting a chance to talk to fans and other designers. If anyone wants to catch up with me and chat during the show, here’s my schedule of where I’ll be. I’ll be on this panel with John Dunn and Jason Marker, talking about one of my favorite subjects! Another seminar with John and Jason, this time talking about how to work on licensed IPs like Star Wars and Warhammer 40K. This is my third seminar alongside John and Jason, wherein we tell you all about how to become a freelancer in the RPG industry–all the ups, downs, and sideways of such a profession. I’m helping write up an official adventure for this setting so I’m going to make sure and cheer on the Sasquatch crew! My new project, the Accursed RPG setting, is for the Savage Worlds system–so I’m definitely going to make an appearance here to get in touch with the Savage Worlds community. I’ve got various time open during Saturday and Sunday, so if you want to make some plans, let me know! Here’s a few thoughts from me on how you can improve your Gen Con experience if you are attending as a gaming professional–whether that be as an artist, a writer, an editor, developer, publisher, or anything else! This is a true statement–Gen Con is where the best and brightest of RPGs are displayed. 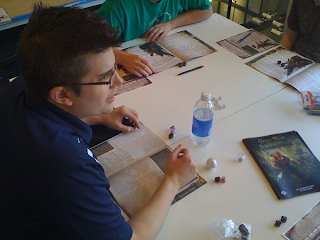 Having a presence at Gen Con, no matter how small, can be very important to any RPG product. 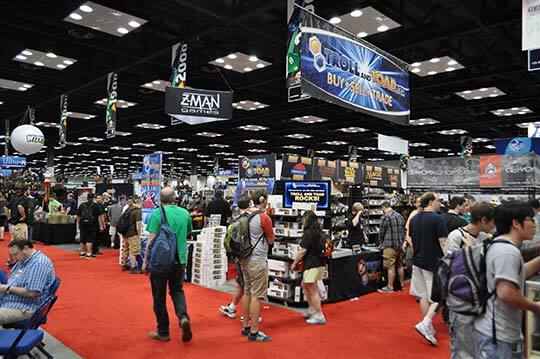 In addition, the profile of Gen Con means that professionals need to be on their absolute best behavior–the industry is a small one and word of any inappropriate or ill-chosen attitudes gets around fast. Have some made. Bring them. Remember to pass them around when you are networking. Make sure the business cards mention your name, your contact info, and what you do. Because of the noise and distractions, cell phone calls during Gen Con can be problematic. Instead, I recommend using text messages to keep in touch. There’s a free app for iphones and android called WhatsApp that allows for free texting. Lastly, don’t forget to wear comfy shoes! You’ll likely be doing a lot of walking. So the big new thing I’m working on now is an RPG setting for Savage Worlds called Accursed. Accursed is a dark fantasy world that is best described as “Hellboy meets Ravenloft,” and we’ve already got an ongoing blog site and a Facebook page set up for it. Look for more news about Accursed in September! It’s going to be big, it’s going to be different from anything you’ve seen before, and it’s going to be something I’ve poured my heart and soul into–in short, it’s going to be awesome. Greetings readers! This week, I’d like to take some time to talk to you about how to direct artwork and artists in the RPG industry. 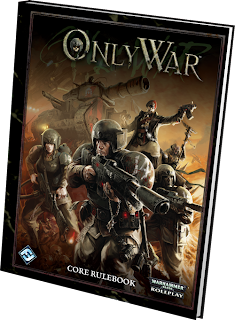 I first started working as an art director when I joined Fantasy Flight Games full-time in 2008 as the Senior RPG Developer for the Warhammer 40,000 Roleplay line. Since then, I’ve done art direction for a number of additional projects, including Dust Warfare, the cancelled MMO Dark Millennium Online, Darksiders II, Shadowrun: Sprawl Gangers, and my (at the time of this writing) newest RPG project, Accursed. I’ve been very privileged to work with talented, professional artists, and I have several such artists as personal friends in many gaming groups I’ve been a part of. I’d like to share here some of the things I’ve learned during my career with regards to art direction and managing artists—but first, some important caveats. First, the things I’m going to discuss here are in regards only to RPGs (and possibly miniature battle games books), not for any other type of game or use. Second, I don’t have all the answers, nor am I a professional artist in my own right. This is just sharing what I’ve learned in my own experience, so YMMV. Now, with that out of the way, let’s dive in and talk about RPG art direction! A very dynamic piece from Wayne Reynolds. The first step is to identify what art pieces you need for your project. You’re going to want some kind of cover at a minimum, and I would go so far as to say that you need at least one piece of art for every four pages in your layout (that’s two spreads). If you’re publishing a setting, core book, or player’s guide that includes new player character options, my advice is those are highly important to illustrate as well. Bestiaries and NPC books have their own art needs, of course, as do other types of RPG products like adventures. Once you’ve got your list of art you need (and ideally a budget of what you can actually afford), you need to write some art descriptions so you tell your artists what you want them to produce. And, IMHO, this is actually one of the trickiest parts. The key, in my experience, is to provide the artist with clarity and balance that with freedom. When I say “clarity,” I mean that you need to give the artist a solid idea of what you’re looking for him to draw. I’ve seen a lot of people write different art descriptions in my time, and here are some of the most common errors. First, when you’re imagining the image in your mind, remember that there’s only one point of view, one “camera,” and it cannot move. Don’t write an art description with phrases like “we then see the arrow sweeping across the battlefield,” because that only happens in actual videos. Keep your descriptions short and to the point—don’t get bogged down in unnecessary detail. Lastly, make sure to provide as many references as you can—I like to hit Google image search and insert links (i.e., “The hilt of his sword should look like this reference (providing a link)”). The key here is to never assume the artist knows exactly what you mean without you having to explain it – make sure you’re as clear as possible on the parts of the image that are the most important and it will save you time going through revisions! Keep in mind the purpose of the piece: you don’t want the “camera” pulled very far back if the art piece is supposed to showcase a particular character rather than an event. This is also applicable to the size of the illustration in your book – small sized illustrations (for example, quarter-page) are not going to be well-suited to show a huge battle scene. When you’re writing descriptions for specific characters, make sure to note the iconic important bits (hair color, eye color, pointed ears, wings, etc.) so that you have consistency of that character’s look across all the illustrations (and illustrators!). It is important, however, to make sure that your art description has a good balance for the artist’s creative freedom. What I mean by this is that few artists enjoy being placed in a straightjacket and allowed only to illustrate within very tight restrictions. Artists are artist because they enjoy being creative, after all! My suggestion is to leave some of the details open to the artist’s interpretation. My personal favorites are to give the artist free reign in the pose or expression of a character, or to tell him to “go wild” with the background theme elements. If you make sure to leave the artist some room to be creative with your art description, the artist will appreciate it, and your art piece will be much better in the long run. Ultimately, what you want to give the artist is an inspiration and a vision for the work, not a paint-by-numbers recipe. Many conventions also have an “artist alley” that you can check out to see several portfolios and different styles – and usually these artists are also looking for work! When you pick an artist for your work, try and match the artist’s style to the mood and tone of the work you need for your project. For example, if the artist’s portfolio is filled with pictures of superheroes, he might not be the best choice for gothic fantasty, but he’d be an excellent choice for a book about supervillains! Next, when you contact the artist, check on his availability—some artists are quite in demand and only have small windows that they can do work for your project. Don’t count on getting more than 3-5 pieces from any individual artist. If you need 8 pieces all done by the same artist, you really need to make sure he’s got the time to commit to that. In any assignment with an artist, you want to build in review steps so you and the artist can communicate about how the work is coming along. It can be heartbreaking on both sides to get to the final stage of an art piece only to find out it can’t be used in the project! My advice is to schedule two review steps: the first is the initial pencil sketch of the art piece and the second is the colored final. Only when both of these steps have been approved does the artist send in the hi-res final art and receives payment. The pencil sketch is the most important step with regards to feedback. The art director should carefully scrutinize the pencil sketch and give clear feedback on what, if anything, needs to change. Keep in mind that the final color image (if you are using color image, final black and white if not) is the absolute last time you can give feedback, and you should strive very hard to keep your revisions very small at this stage. 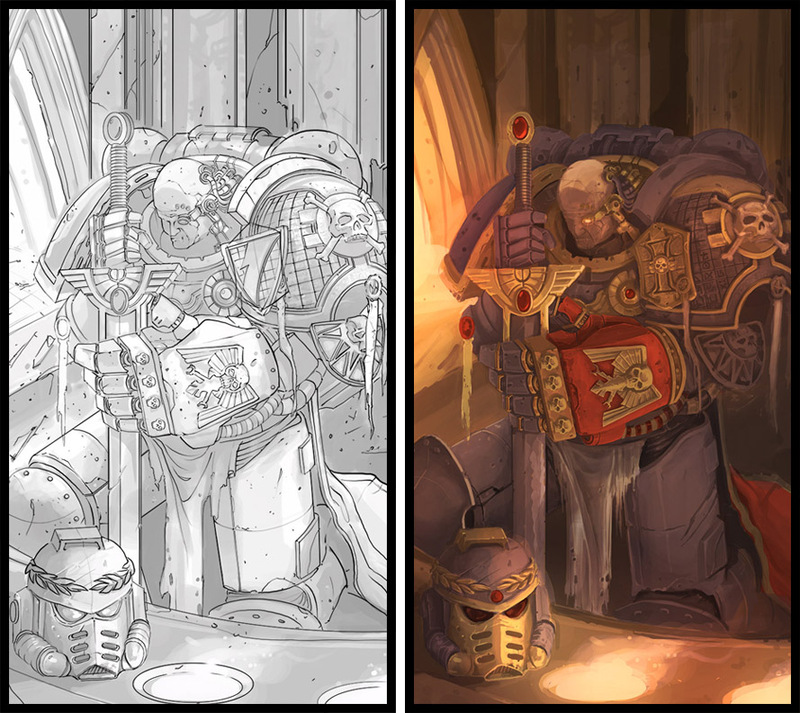 The artist has put a ton of time and effort into that final work, so asking him to completely change the pose, subject, or composition is a huge pain! Ideally, any necessary changes should be very small (i.e., “Please change the gun in his holster to look like the reference I sent you.”). Clear feedback should involve any changes to details, the character’s pose, proportions, etc. “The head needs to be about 10% smaller,” is good feedback. “Make it like this, but better,” is not. Try not to have more than three revisions of the artwork (meaning three revisions TOTAL). Having to do the same art piece over and over is a surefire way to kill an artist’s passion for the work! Your goal as the art director should be to absolutely minimize the number of times the artist has to revise. If you’ve hit three revisions with an artist on any individual art piece and it still isn’t acceptable, my advice would be that it is better at this point to switch the art assignment with another piece rather than push the artist for “just one more pass.” If you end up with a great artist that no longer wants to do business with you because of too many revisions, that’s a major blow to your project—you’ll have to start all over again with a new artist from scratch. Some of the amazing work of Matt Bradbury. Artists are like any other professional; they improve with practice. If you are clear with your expectations up front and deal professionally with your artists, you’ll find that, most often, they will deal professionally with you in return. Keep an eye out for artists who respond quickly and professionally to your feedback, or artists that go an extra mile (such as the additional sketches for poses I mentioned above). One artist I worked with at FFG was not only very professional, he was always very cheerful and quick with his revisions. Even when he needed to completely re-do an image, he said things like “Oh, I’ll have that for you tomorrow, no problem!” It did not take long for us to move that artist up from doing interior artwork to chapter frontispieces, and from there to cover art. 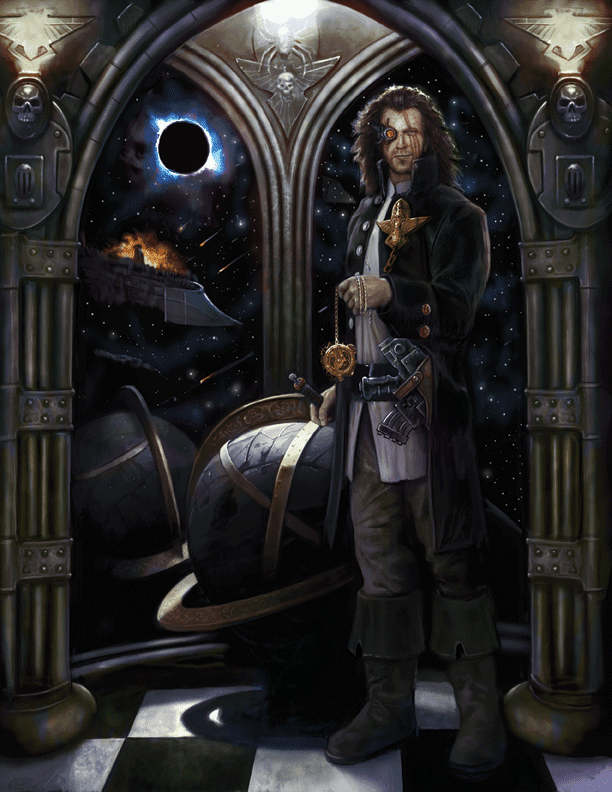 Typically, the most valuable artwork on your project is going to be the cover art, followed by any major interior work (chapter frontispieces, character portraits for the PC options, etc.). Larger pieces are more expensive than smaller ones, and color is more expensive than black and white. My advice to anyone doing art direction for the first time is to keep track of your artists over time, and reward the artists who turn in quality work on time with bigger and better assignments. Art Direction can be a fun role when working on a project, but it can also be exhausting and time-consuming to get all those details right. I hope that by reading this you may discover that writing art descriptions is a lot more involved than it first sounds! Similarly, I hope that if there are any professional RPG artists and art directors out there who read this, please chime in in the comments section below and let me know what you think of my advice here. I’d love to hear from you. 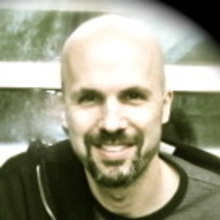 Greetings readers — I am very pleased to have an interview this week with Lee Garvin. 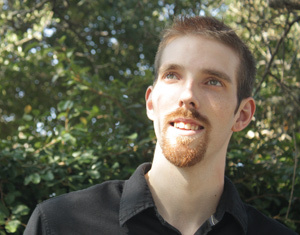 Lee is a talented game designer with an impressive pedigree in the industry, having been the guiding force behind Tales From The Floating Vagabond and The Noble Wild. 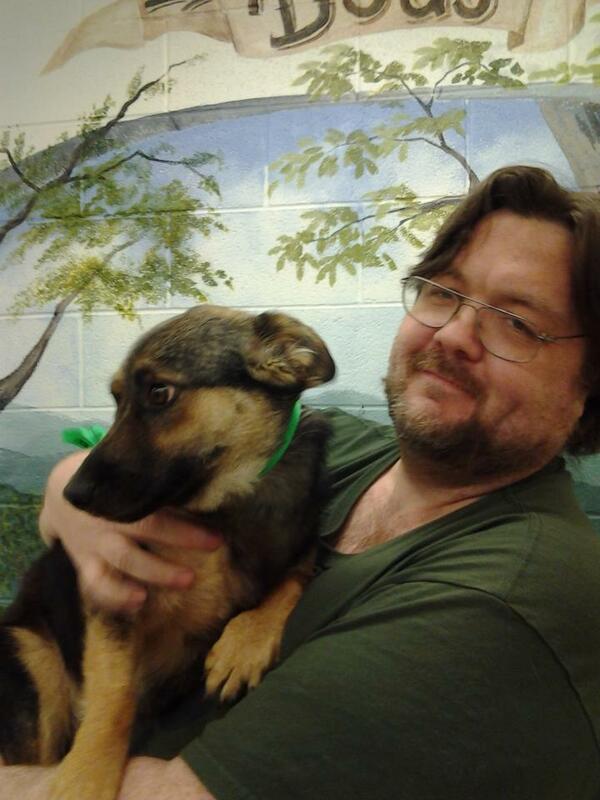 Lee Garvin and his handsome dog, Mal. Lee’s also a gifted roleplayer and has a side-splitting sense of humor. 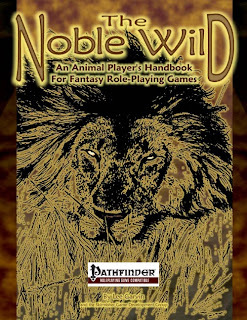 I managed to meet Lee at HeroCon (a, sadly, now-defunct local RPG convention I helped organize in Glen Burnie, Maryland) where I got a chance to see Lee’s Noble Wild in action. Lee also played an exceptionally memorable Tech-Priest in a game of Dark Heresy at the same event, and I can honestly say there few games as much fun as that one. Lee and his company Reality Cheque have some really interesting projects in the works, including a second edition of Tales From The Floating Vagabond, so I felt that now was the best time to get him onto Rogue Warden and talk to him about his philosophy on gaming. So, without further ado, let’s get into the interview! As always, my questions are in red text. LG: Well, as a gamer, my roots can be traced back to one single gigantic game of Dungeons & Dragons I played in my Boy Scout Troop (Troop 35 recognize!). It was 1980 or so, and we were camping out under the stars on the top of a hill. My oldest friend in the world, Sandy Antunes was in that same game, and he became a game writer too (check his stuff out in Chaosium’s Call of Cthulhu line); so there must have been something about that hill. 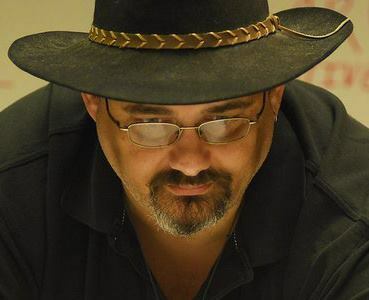 Professionally; I created the Tales From The Floating Vagabond, Control: The Game of Absolute Corruption, The Noble Wild, and Dravakor; and I’ve written for Deadlands, Indiana Jones Adventures, Star Wars (d6), and 7th Sea. LG: I had an idea for a comic book when I was in high school, called Tales From The Floating Vagabond. I started making the RPG rules shortly after that, although their final form is entirely unrecognizable from those early scratches and doodles. While I was playtesting what became the final version of the rules back in 1990 in BaltiCon, it turned out one of the players was the head of Avalon Hill’s RPG department. He loved the game and a couple months later, I had a contract. LG: The level of enthusiasm from even the most jaded role-player is just wonderful. The outside world might be cynical as hell, even the characters you play can be cynical, but in order to choose to spend your time being a hero or a monster or a spy, you simply have to have a healthy chunk of your childhood spirit still alive within you. And childhood spirit is a space hog; it doesn’t leave room for cynicism. LG: Trying to explain to family, relations, and casual acquaintances that, no, I do not program video games. The blank stares one gets from the uninitiated are just heart-breaking. Of course, the blank look disappears if you say “You know; like Dungeons & Dragons.” And then the blank look is replaced by a smirk, a disappointed look, or even disgust (depending on who’s been telling them what about gaming. LG: 5 years ago, I think the industry was still feeling the effects of d20-fatigue. There had been such a huge explosion of new products and new ideas thanks to the OGL, and the market became flooded. By 5 years ago, most folks had realized that probably 80% of it was crap, and were very unwilling to even look at yet another d20 product (which unfortunately was what I was writing). Nowadays, I think that has calmed down a bit, with Pathfinder picking up the reins for that side of the hobby. But more importantly is the other consequence of the d20 boom: people started looking for new games again. A whole slew of other game and systems started getting noticed (or re-noticed), and somewhere along the line there had been a split in the audience between old-school number-crunching rpgs, like Dark Heresy, Savage Worlds, and Dragon Age; and more story-driven, free-from games, like Fiasco, Cortex, or Fate. This, of course, means more competition for the gaming dollar, and that can only improve the overall quality of what’s available. What all of this means for the professional is: step up your game! If it’s not awesome, if it isn’t innovative, it’s forgotten. LG: I don’t know if I ever felt “In Charge,” but one thing I would like to do is hire someone to handle all the stuff that I get hung up with so that I can concentrate on the writing. And hire someone else to stand behind me cracking a whip (I’m a lazy, lazy man). LG: I’m pretty sure I’m the last person who should give people advice on being a professional freelancer. In an industry run by people working out of their parents’ basements, I kind of get the feeling that I am known as a flake among flakes. It’s my own fault, I know. For publishers: hire good people, and pay them what they’re worth. Also, realize that every aspect of your book is a billboard advertising the rest of the book: If you have bad art, what other poor decisions did you make? If you have blatant spelling errors or grammatical errors on the back cover or in the first few pages, what else have you gotten wrong? (Pro tip: “Myriad” is not a noun!) It may seem picky, but a worker should always respect their tools, and our tools are language and images. LG: There’d be a hell of a lot more money in it, that’s for sure. There is no reason why someone who does something even passably well, who does it at least 40 hours a week, should have to take a second job just to pay rent or a mortgage. If you produce on a consistent basis, and people buy your work, you should be able to make a living at it. I’m totally over the “starving artist” vibe. LG: First, I lay down a screen of smoke-grenades, then I set the dogs loose to chase down the ones that flee. Closing in under the smoke, I attempt to take the legs out of the bigger ones so that I can concentrate my attacks on the smaller, faster ones. LG: I think my best writing was probably in Indiana Jones – Magic & Mysticism: The Dark Continent. Worth owning for the Schtick descriptions alone. 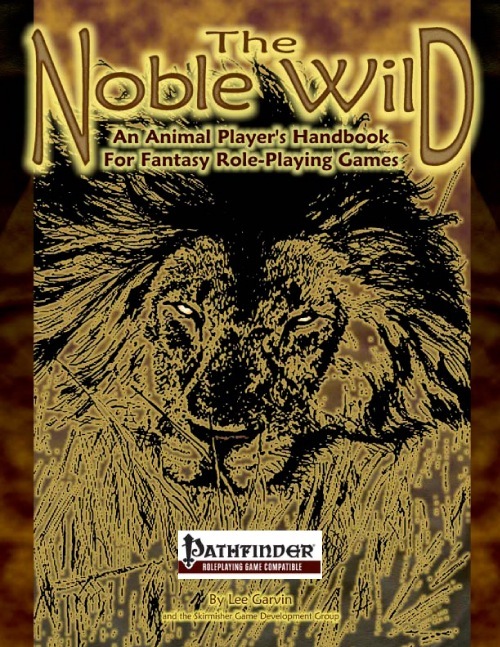 As far as overall work, The Noble Wild was my most ambitious project, and it was even nominated for an ENnie. That felt pretty good. I don’t even mind that I didn’t win, because the book that won in that category was Pathfinder’s Classic Monsters Revisited, and holy crap was that an awesome book! LG: Back in 1997 I got what I thought was my dream job, working for West End Games. I lost the job in very short order, and it took me some time to get over it. LG: I don’t reconcile at all! If I hear that someone has broken a rule that I wrote, I track them down and leave snippy notes on their car windshield! Or, I could get over myself. LG: Slowly congealing stain on the dungeon floor. But seriously, I would probably gravitate toward bard. I’ve always been a storyteller, and I think my best role as an adventurer would be to get other, more athletic folks to do the actual fighting while I watch. 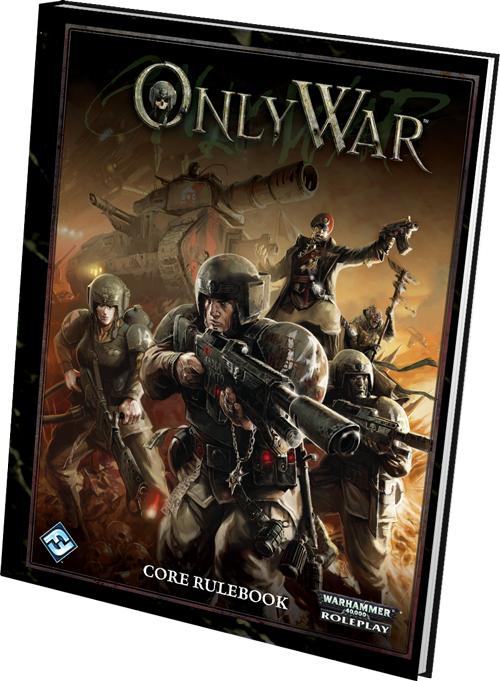 LG: I think that would have to be Dark Heresy (and no, I’m not sucking up); I love the setting, and the rules are just crunchy enough. LG: In art, I look for the artist’s person style. I love being able to just glance at a piece and say “That’s Jim Holloway,” or Phil Foglio, or Erol Otus. Your style should be unique enough that it can be picked out of a line-up. A red-flag, for me, is anime or manga-style: this is a fine style in and of itself, but the way it is used these days it seems more like a series of shortcuts that any marginally talented individual can use to make their work look like every other marginally talented individual out there. I want to see what you can do. Someday, if a project lends itself toward it, I may need manga-style illustrations; but I’ll be damn sure that my artist can do their own style first. 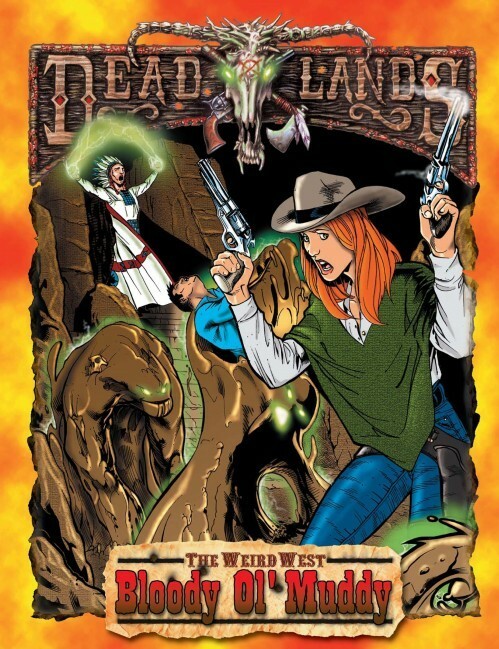 LG: Deadlands. I saw Lone Ranger last week, so I’ve got a hankerin’. LG: I don’t know if it’s special, I just imagine the most awesome, kickass scene or moment I can, and then I try to build a framework that would allow it to happen. A whole lot of dirty fun. LG: I don’t know I can be said to have a process. If the subject matter has any basis in reality, then I do a lot of research. If not, I just let my mind wander around it. As far as systems, go, I try to find a single defining mechanic that I can hang the rest of the game on, deviating from it only when absolutely necessary. 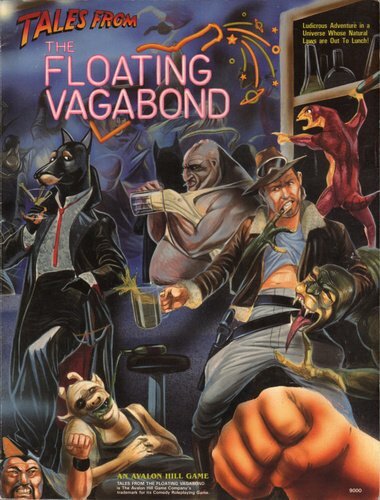 RW: I love Tales from the Floating Vagabond and how it pokes fun at a lot of different genres simultaneously. What is your favorite thing about TFTFV? LG: Yeah, I like to think of TF2V (That is the official abreviation, btw) as the Zucker Brothers role-playing game. Anything and everything is fair game, and you never know what a sufficiently motivated player will do to your best-laid plans. RW: What was the most fun part of TF2V to playtest? LG: Finding new ways to use and abuse Shticks was always a highlight for my players. They are such powerful, potentially plot-breaking abilities, that I had to bend and tweak, twist and snap, snimple and mutilate all of them to get them where I liked them. RW: If you were to design a new edition of TF2V, what would you do differently? LG: “IF?” There is no “If”! I am working on the 2nd edition of the game right now! In fact, if your readers check in on KickStarter in the next few weeks, I intend to have a campaign to fund Tales From The Floating Vagabond, 2nd Edition, up and running in time for GenCon! As for what’s different, well, I stream-lined the rules a lot. Gone are all the modifiers and penalties and math-y barnacles of the old system. Now, the game uses a simple system of “Bumps and Slides.” Is something harder to do? Then the die you roll to try it gets “Bumped” up to the next larger die size. Is it easier? then it gets “Slid” down to the next smaller die size. The Shticks have been honed and sharpened as well, and there are some new ones, too. RW: Tell us about The Noble Wild – what was your process for developing this game in the D20 market? LG: Many years ago, back in the 1990s, I wrote a fan rules-set called Pets: The Shedding for use with the original World of Darkness. I actually did it as an April Fools gag (in fact, I wrote the entire thing on April 1st), but I like to think the rules were solid. During the d20 boom, I got to thinking about the lack of options available for people who wanted to play as an animal. I mean, there’s always Bunnies & Burrows, but what about the rest of the animal kingdom? Talking animals have been a part of fantasy fiction since there’s been fantasy fiction, so why not have them as PCs? You’ll never look at familiars and animal companions the same way again. I dug through the core rules and studied all of the existing rules for animals and figured out where I could expand. Then I did lots and lots of research. I went to the zoo in DC a lot for inspiration, and I even got an opportunity to go behind the scenes with the keepers at the Busch Gardens Preserve in Tampa. After I got the facts, I poured on the fiction, and I even got to recycle some of the concepts I used in Pets: The Shedding. RW: What are you working on now? LG: In addition to TF2V, I’ve spent the last couple years developing a comedy card game called Badass Zombie Killers. It’s a game of one-ups-manship and sabotage, with players competing to build the most Badass zombie killing weapon they can before the zombie horde shows up. 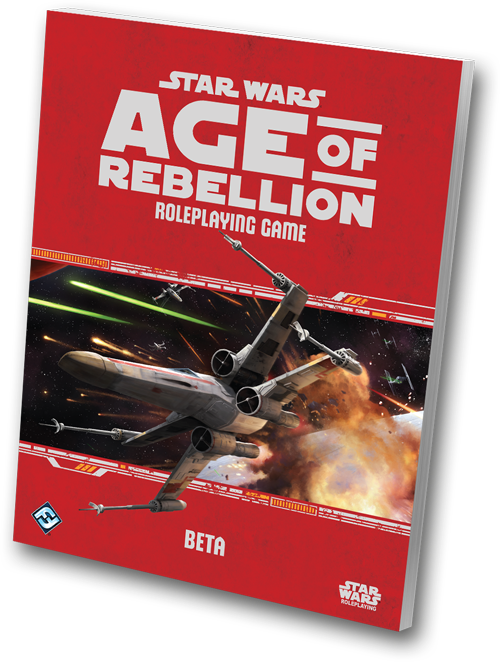 It’s a whole heap of fun, and we’ll be introducing it at GenCon this year (booth 373). The whole point of the game is not to kill zombies, but to be badass. What’s better that a chainsaw? A chainsaw that you bought on the black market, that’s what! Is a fire axe good enough? Hell, no! Make it a pair of gas-powered fire axe-chuks, and then we’ll talk. RW: What is different about your new project from anything you’ve done before? 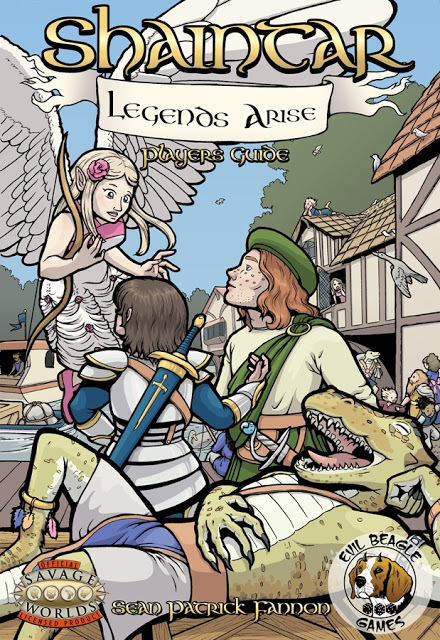 Greetings readers… today’s blog features a review of an epic fantasy setting for Savage Worlds called Shaintar: Legends Arise. I should start out this review by explaining that I’m biased when it comes to Shaintar. First, the author is Sean Patrick Fannon – a personal friend and colleague that I have interviewed here on the Warden before. I’ve had the pleasure of playing Shaintar with Sean twice before (three times if Sean counts a Shards of the Stone session way back in the early 2000’s), and it has always struck me as a very interesting and fun setting for an RPG. So now, gentle reader, you’re aware that I am perhaps not the most objective reviewer of Sean’s work in the RPG field. Having said that, let’s move on to look at the actual product. Shaintar promises us “epic fantasy” as a genre, and that is a tall claim—many settings have tried before, with perhaps the Forgotten Realms coming closest (and many would argue that the Realms are more “High Fantasy” than “Epic”). The cover for the version of Shaintar that this review is based on. The book begins with an omnibus of the setting, describing Shaintar’s rich history – developed by Sean over decades of actual RPG campaigns he’s run using Shaintar – and discussing its people. The magic of Shaintar and the sources of power are quite interesting. Rather than Law/Chaos and Good/Evil that are present in many other fantasy settings, Shaintar uses a different axis. Light and Darkness, balanced by Life and Flame. Traditionally, Light and Life are “good,” whilst Darkness and Flame are “evil.” Light is channeled by priests and paladins, whilst Darkness powers necromantic rituals of death and decay. Life is used by druids with the power of the natural world, while Flame is the source of destructive magics and is used to summon demons from the Abyss. This is just the briefest overview of the setting’s interesting laws, and there’s much more to it than what I’ve presented here. Suffice it to say it is quite interesting to read how things work in Sean’s world – it is set up quite well to meet its goal of epic fantasy. Chapter two introduces the reader to the heroes of Shaintar – the different races and professions that make up the world and are appropriate for player characters. The chapter starts out with a description of “Greyson’s Gray Rangers,” an organization perfectly suited for beginning adventurers. The rangers provide a cause, direction, and support that really help a GM with an adventuring paradigm. It’s nice to see this support built-in. Additionally, other professions are discussed that include fantasy staples (from Soldiers to Druids to Priests to Rogues) and some more unusual choices (such as Ex-slaves, wanderers, and emissaries). The races of Shaintar are quite imaginative and provide a prospective player with tons of great choices, from the Brinchie (Cat-men) to the Dregordians (lizard-people) and many more. I often judge an RPG based on how many characters the book inspires me to make. Shaintar: Legends Arise gives me ideas for at least a dozen different characters that I’d love to play in this world. It is worth noting that Shaintar: Legends Arise uses some interesting adjustments to the Savage Worlds system. Player characters simply begin with appropriate gear rather than spending a bunch of time spending money at the store, for example, and the damage dice explode like all the other dice in Savage Worlds. These rules adjustments are intended to keep the energy high during a game and I think they succeed quite well at this goal. Next come some brief overviews of skills and languages, followed by a discussion of appropriate Hindrances for Shaintar. This is followed by new Hindrances and Edges, including some very interesting special Edges that player characters can earn by interacting with specific characters, items, and storylines in the setting. These Edges are like badges of honor your character can carry with him as a reward for his great deeds. Next comes a section about gear, containing some of the unique weapons, armor, and other items found in Shaintar. It really helps bring to life that your character is from a completely different race or culture when you can back that up with a specifically-designed weapon that fits your race’s particular fighting style! In addition, this section includes a discussion on Shaintar spells and powers for those characters who channel magic. The section on setting rules is one of my favorite parts of the book. Sean details several bits of advice for the GM and guidance for how the game mechanics of Savage Worlds best fit into Shaintar. 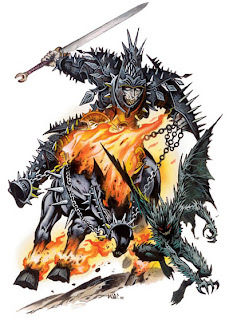 The thrust of this section is a means to help a GM make a session of Shaintar feel memorable and cinematic, providing the player characters with ways to use their unique abilities (and the Savage Worlds boost mechanic, “bennies”) to enhance the fun of the game for everyone. The book ends with a glimpse at the expanded world of Shaintar, giving the reader some hints as to possible expansions of the setting. A lot of these windows into the larger world are intriguing, and many of them are going to become a reality thanks to Sean’s Kickstarter forLegends Unleashed. The awesome new cover for Shaintar! 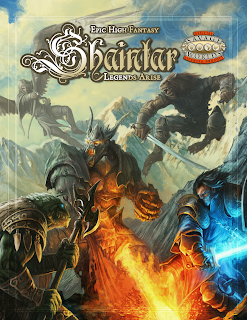 I should take a moment here to mention there’s a Kickstarter for a much more developed look at Shaintar called Shaintar: Legends Unleashed, produced by Sean’s own Evil Beagle games. The Kickstarter is doing quite well, and at the time of this writing is wrapping up with only a few days left. If this review has left you anxious to learn more about Shaintar, I encourage you to go to the kickstarter page and help support it! Shaintar is a setting that does what it says on the tin: it brings the heart of epic fantasy to life and breathes something exciting into a fantasy RPG that I haven’t seen in a long time… probably since the grey boxed set of Forgotten Realms for 2nd edition Dungeons & Dragons. The setting of Shaintar is extremely rich with detail and opportunities for excitement. Adventure seems to drip off every page. Another reviewer said (I am paraphrasing here) that “Shaintar is what I wished my first D&D campaigns were like,” and I would echo that remark. Just a quick post today to let you know that Rogue Warden has been nominated for an ENnie award! The nomination itself is quite an honor, and I’d like to thank the committee for their consideration. There’s a post I made a while back about RPG industry awards that is appropriate, perhaps, to link here as well. Voting begins on the 22nd, so I hope you’ll make a note to vote for Rogue Warden in its category and for all the other deserving game products on the list. Greetings readers! Today marks another special interview on the Rogue Warden. Today, I complete my trifecta of interviews with game designers who worked on Birthright! In point of fact, today’s guest has a very impressive pedigree in the game industry, having worked on several fantastic products both physical and virtual. Today’s guest is the gracious Colin McComb. Colin’s contributions to gaming include highlights such as Planescape: Torment, the aforementioned Birthright setting (and veteran readers of the warden know that I am a huge super-duper fan of that setting), many works for Dungeons & Dragons, and Fallout 2. I’ve played Colin’s games for years and I can tell you that this man knows what he is talking about. Colin McComb is f’ing METAL. 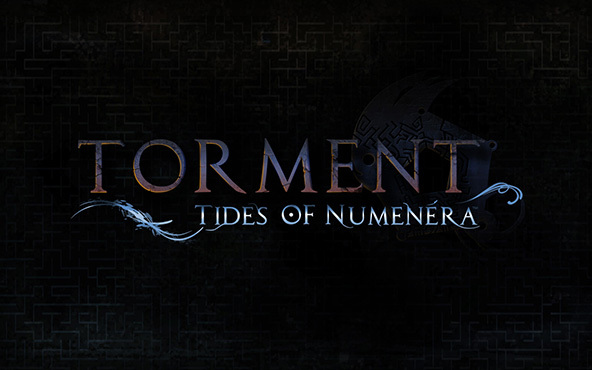 Colin’s most recent game activities relate to his own company, 3lb Games, and the highly-anticipated computer RPG, Torment: Tides of Numenara. 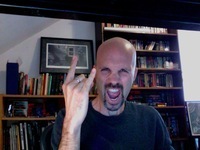 He also has a blog at Colinmccomb.com, and has written some exciting fantasy fiction, the Oathbreaker series. Without any further ado, let’s get into the meat of the interview. As always, my questions are in red text. CM: Sure! I’ve been involved in the industry in one way or another since about 1991, and when I say that I feel like I need to go fetch some kidney medication and perhaps check the wheels on my walker to make sure they’re well-oiled with whale grease. I started gaming with a combination of AD&D and the Blue Box, with my first adventure being B1: In Search of the Unknown. I played a wide variety of games throughout my youth (Boot Hill, Top Secret, Villains & Vigilantes, Champions, Twilight 2000, Victory’s James Bond) but always found my way back to D&D, and that’s what I was playing through college. When I was at TSR, we played a lot of D&D – mostly for fun, occasionally to play test – Vampire, Call of Cthulhu, and more. I started playing a lot fewer tabletop games when I moved to California to work in the computer game industry, focusing more then on cRPGs and action games. These days I tend to play more board and card games, though I’ve also got an active OnLive account and just bought GOG.com‘s D&D pack, so I’ve got a pretty full gaming plate even when I’m not being dragged into Minecraft with my kids. CM: Through the luckiest of flukes, frankly. As a senior in college with a philosophy major, I was concerned about finding a job that would accommodate my degree. Since I’d discovered, years before, that one could actually make a living as a game designer, I thought I’d give it a shot. I didn’t have high hopes, but I sent a letter to TSR to find out if they were hiring… and my letter arrived at the exact right time. A relatively young designer had decided that the job wasn’t for him, and he’d left recently. So TSR sent me a copy of The Complete Vikings Handbook and told me to submit an adventure based on those rules. I labored over it for a week, sent it in, and then enjoyed the usual dreams of getting the job while fully convinced that there was no way I’d actually make an impression. You can imagine my surprise when they called me back for an in-person interview and writing test. I was nervous as hell (I mean, I was being interviewed by legend Jim Ward – a man whose name I had seen for the entirety of my gaming career! ), and again I was convinced that nothing would come of it (apart from the free books they sent me on my way with). So when I got the call from the HR Director saying that she’d been instructed to offer me a job, I honestly couldn’t believe it. I didn’t even dicker over the salary. I started a week after graduation. CM: Even after all this time, it’s difficult for me to believe that I *need* to play games, that I *have* to play games in order to stay current, and that in fact playing games counts as research and makes me a more credible professional. Plus there’s the whole bit about getting to tell stories to people. CM: Two things come immediately to mind. The first is that if money is your big incentive, this is not the industry to be in. You need to love the work, and you need to be comfortable with the idea that your labors will likely only be seen by a small group of people. Even at TSR, the leaders in the RPG industry through the mid-90s, salaries were not generous–at least not in the production area. The second thing is that it really is a lot of work. If you don’t love doing this, you’re going to burn out quickly, and chances are good that you might anyway. Zeb Cook used to say that as an industry, gaming eats its young. Conditions have generally improved, but you can expect to put in a lot of hours as a gaming professional. CM: As a freelancer, apart from punctuality with your projects, the most important aspect is communication. If you’re going to be late, tell your coordinator. If you have questions, ask them. If you have concerns or even an inkling that something might go awry, mention that as well. I don’t know that I can stress this enough: it’s far better as a freelancer to keep an honest and open line of communication than it is to get embarrassed, shut down, and go dark. If you’re open and upfront about potential issues, you give your coordinator a chance to work around those. If you disappear, you leave nothing but your bad reputation in your place. Other than that, do the job you were hired to do–don’t run long, don’t run short, and don’t argue that the project should be something else. You can make suggestions, but it’s not your product that’s hitting the shelves — it might be your name on it, but the publisher is putting up the money, and it’s their reputation that ultimately suffers. As a publisher, the most important thing is to be honest with your customers. Not necessarily to bring them into your inner sanctum and let them see the workings of your operation, but to tell them your schedules, reasons for delay, issues with the product line, and so forth. Paizo has done an excellent job with this, and because of that, their customers are their fans. If we’re talking about the publisher/freelancer relationship, then the publisher’s primary duty is to communicate clearly to the freelancer what the project is, what the expectations are for it, to schedule it with a reasonable timeframe, and to *pay on time*. There’s little more poisonous to your reputation than to profit from the work of others and then not pay them. If they have delivered a product to you in good faith, you owe it to them to pay them for it — and do it with good grace. CM: I’d make it more popular. How would I do that? I HAVE NO IDEA. CM: If I have to be honest, I do it poorly. I try to respond to email when I get a chance, I attend a con here and there, and I occasionally show up for an exchange or two on various sites, but I don’t have a systematic method for doing it. I’ve got a website at colinmccomb.com, but I update that too infrequently — in general, I consider my brand to be my work, rather than my messaging. The work has to stand on its own; once its in the world, it’s no longer mine to control. I’m more than happy to talk about it, but it’s gone, the story is told, the game is made, the die is cast. That said, I’m very happy when my work makes people happy, and I love to hear about it. CM: If I’m going to be sarcastic, I’d say it’s The Complete Book of Elves – still inspiring high emotion more than 20 years later! But in all honesty, the high-water mark to date was Planescape: Torment. Everything came together perfectly on that project–my background with the Planescape universe, my teammates, the story we wanted to tell–and I remain inordinately proud of my part in the project. CM: I don’t play enough games, probably. If we’re going to talk in terms of failed projects, probably my canceled Buck Rogers project. If we’re going to talk in terms of published projects, I think I’d have to go with The Galactos Barrier. RW: If you were a post-apocalyptic survivor, you’d be a…? CM: … an imminent victim? Though I suppose I’ve had some experience gardening, and I can do some hand-to-hand fighting so I could defend my garden, but I think in the long haul I’d probably die from starvation. CM: Call of Cthulhu. Simple enough rules that you can play it quickly, fun storytelling, and the opportunity for some in-depth role-play even with newcomers. 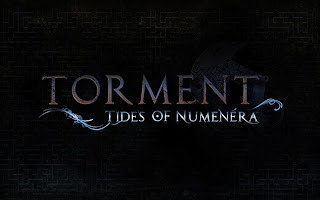 CM: Numenera! I seriously think that people are going to love this game. RW: Thunder Rift is, IMHO, one of the best settings ever created for Dungeons and Dragons. It’s a beautiful little region full of opportunities for adventure. Did you have any thoughts on any missed opportunities with Thunder Rift, any areas or stories of the setting that you never got a chance to address? CM: Man, that’s reaching into the past. Tim Beach and I had come up with several ideas for expansions for the area, some of which made their respective ways into the various add-ons (Assult of Raven’s Ruin, Goblin’s Lair, etc), but there others that never saw the light of day. Since it was so long ago, I did some online research and I discovered that some devoted fans have done more than I ever would have imagined with such a small little book. RW: It is no secret that I am a huge fan of Planescape: Torment and regard it as one of the best computer RPGs ever made. I was wondering, which character in PS:T is your personal favorite? Why? CM: If we’re talking companions, it’s got to be Morte. He takes the worst the multiverse has to throw at him and he throws an insult back in its face. He’s almost never cowed, though he’s always honest about his chances. Sure, he might have betrayed the Nameless One, and sure, he might be hiding some dark secrets, but when you get right down it, he’s funny in the face of death… and that counts for a lot. If we’re talking other characters, then I’ll go with Lothar, because he’s a seeker after knowledge AND he’s one of the few able to threaten the Nameless One. RW: One of my favorite characters is the highly unusual succubus, Fall-from-Grace. Do you have any ideas on what happened to her after her journeys with the Nameless One? CM: I do, but I’m going to let you ask that question of Chris Avellone. Sorry, but she’s HIS baby. RW: Birthright is a unique and distinct setting that I think has been greatly underappreciated (despite its Origins award). What were the main goals you wanted to accomplish with Birthright and how do you feel it succeeded (or perhaps did not quite succeed) at those goals? CM: Frankly, I just wanted to make something cool. I wanted to create a low-fantasy setting that would be at least partially culturally inclusive yet still feel similar to Tolkien. We were looking to have a broader, more coherent mythology among our cultures, and a systemic, realistic outgrowth of history from the major events at Deismaar. Oh, and we wanted everyone to buy it. I think these goals were successful… well, except for the last one. This was the phase in which TSR had about 4 kajillion campaign worlds, and each of those was in some sense in competition with all the others, rather than competing with products outside the company. Birthright went for a massive flood of material, too – the short realm guides weren’t our idea; they were dreamt up down in Executive Row and slapped onto the schedule, with the attendant headaches of quick writing and quick editing and finding freelancers to take those projects on in the first place. The sales expectations for Birthright were probably too ambitious from the start. This game is going to rock. Can’t wait to play it! RW: Darien Avan and Archduke Boeruine: Which one has the best chance of getting to the Iron Throne? What did you see in your head for these two contenders in Anuire? CM: I like Avan more as a person, but I always had the feeling that Boeruine was more brutal and more subtle, and thus had a more direct line. Avan is more of a politician, but I never had the feeling that he was as capable of the realpolitik. RW: You and Rich Baker designed the boxed set for Birthright and the setting of Anuire. If you could design Birthright (the core boxed set) again, what would you do differently? CM: Given the time constraints we had, I was pretty pleased with our work. Still, if we had more time, I think I might have started the game with the players *not* immediately becoming rulers. Make them work for it, grow into it, and learn the ropes before handing them the keys to a realm. We may have given them too much too soon. 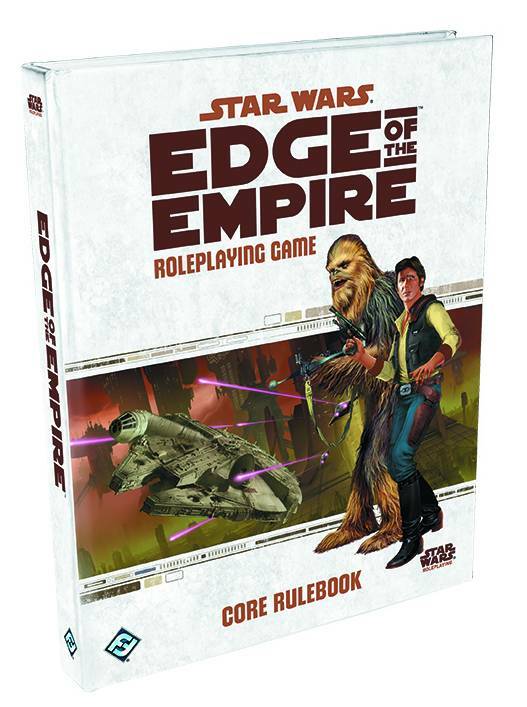 I’d focus more on roleplaying, with less of an emphasis on the domain rules. Give them time to love the world before we destroy it. Also, I’d have liked to see more happen with Vosgaard while I was still at TSR. Man, those guys were great. RW: During the playtesting for Birthright, what were the most interesting outcomes? Were there any particularly noteworthy or amusing situations that occurred while testing the setting or the domain rules? RW: If there was ever a way to bring Birthright back in some official form for any edition of Dungeons and Dragons, would you want to get involved? CM: Schedule permitting, sure! And if we could get Rich, Ed, Tony S, Anne Brown, Roger Moore, and Sue Weinlein all involved again, that’d be even better. The real question is: when would my schedule permit this? And my answer is: Hoo boy, I don’t know. Between Torment, developing games with my own company (3lbGames), and fiction writing, I don’t see a lot of spare time in my near future. I wanted to talk a bit today about creating a story setting. Whether you are creating a campaign setting for a professional release, novel, or dungeon mastering for your friends at home; the basics remain the same. I’m going to walk you through my own process and hopefully it helps yours. Take stock of what you want from your setting. How do you want to immerse your readers/players as they tumble down your rabbit hole? What kind of ideas do you have pinging around your head? Just pick up a piece of paper and write. This is called free writing and it is the easiest way to put thoughts to page. Don’t worry about keeping it organized or cohesive; throwing ideas from the void and onto paper is far more valuable at this point in the process. Do this for a couple hours and keep your fingers away from that tempting little backspace key! A little perspective is all it takes. NOTE! A lot of creators develop writer’s block and become jaded saying, “Everything has already been done.” Drawing on established conventions is absolutely okay. There is a reason dwarves, elves, and giants are mainstays of RPG development; fixing an entire genre shouldn’t be your number one priority in the beginning. Now that you have a bunch of ideas on paper, the creation process will be a lot easier to visualize. Start organizing everything it groupings. Examples might be races, societies, magic, and technology. Of course this is simplified version, but liken it to the glossary of any text book you’ve ever read. You want your thoughts split up in easy to handle “bites” for further development. Now that your ideas are in groups, take a look at them individually. Think of your original ideas as spider webs that you want to grow and branch out. This part of the development process is where you start adding your own flare and start making something that is unique and utterly your own. Further mold your ideas into something complete and new. Start looking at the things you’ve created in the past and things other creators have made, then try and think of ways to set yourself apart in a positive way. Maybe there was something you liked that someone else did, there’s nothing wrong with drawing inspiration from others. Here are a few basic templates for creating races, societies, magic, and technology. This is a great starting place for any aspiring world creator. Sometimes all it takes is a little imagination. Politics:Social hierarchy and interactions from within and without. Wealth: How much money does this country have? How well off are its citizens? Trade: What other nations do they interact with? What commodities does this nation have to offer? Religion: What god/s are worshiped? How does this impact daily life? Military: The military strength and influence in the society, plus any faction this society is at war with. 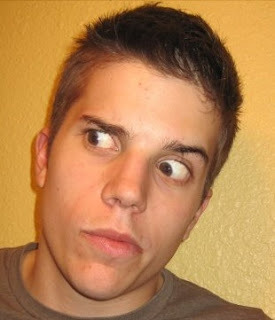 Citizenry:Think about your average person in this society, what would their daily life be like? What is/are the race/s of this society? Scarcity: Abundant/rare. 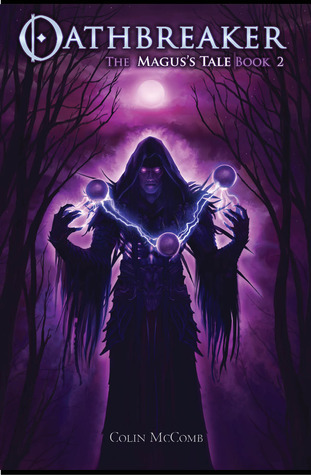 Does the mere act of using a cantrip send whispers across the realm or is magic a part of everyday life? Requirements:What does someone have to give or have in order to use magic? Is it a bloodline trait or a learned skill? Is there a penalty for using magic? Influence: How powerful is magic in your world? Level of technology: What era of human technological advancement can you equate this society or world’s current developmental level? Abundance:How abundant is this technology? Is it used widely or sparingly? Who can use it? Magic and technology: How do these two interact? Do they interact at all? Thanks for reading this blog post and I hope you all loved it!